We are inviting applications for the European Summer School “Interspecies Relationality” (ESSIR) that will take place at the University of Kassel from 28 July to 4 August 2019. The deadline for applications will be 31 March 2019. 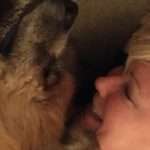 “Relationality” has been a central approach to the development of Human-Animal Studies as a field of academic inquiry. Therein, the reevaluation of human-animal relations has so far followed primarily an assessment of the individual entities in a relation, followed by a comparison that establishes corresponding or differing capacities, or the effects one has on the other. More than looking at the relation as such, relationality follows here as a consequence a comparative approach, from which insights on the relationship are deduced. ESSIR aims at further refining and expanding relationality as a methodological lens for HAS by focusing on interspecies relationality and making the relation our analytical priority. The focus, then, becomes studying the interrelation and interdependency itself, as well as the mutual coproduction, influencing and curtailing of the entities in a relation, and thus to always think of entities within and through their relations to others. In addition to this conceptual refinement of relationality, we also call for explicitly expanding the perspective of relationality as well by asking about relations between nonhuman animals, of the same species, across different species, and between groups of animals. The program will offer a shared space of critical inquiry to explore and develop interspecies relationality as a methodological research approach in close connection with the participants own projects. It will bring the participants’ work-in-progress to the attention of a network of influential HAS scholars, and provides the participants with the guidance and feedback to develop their work. ESSIR’s faculty comprises of leaders in HAS that simultaneously serve as representatives of established research initiatives and groups throughout Europe as well as the Animals & Society Institute (USA). In addition to developing “Interspecies Relationality” as a research approach, ESSIR thus provides an opportunity for early career scholars to build their professional networks with established researchers in the field of HAS. Participants should expect a stimulating intellectual environment reflecting a diversity of approaches, projects, disciplinary backgrounds, and ethical positions on animal issues. The Summer School is co-hosted by Mieke Roscher and André Krebber (Resident Directors) alongside Margo DeMello and Kenneth Shapiro (ASI). ESSIR will feature intense workshop sessions where participants discuss their own work while developing “interspecies relationality” as a methodological approach. Public lectures, field trips, sessions on career support and social events complement these sessions. André Krebber is Assistant Professor of social and cultural history and animal studies at the University of Kassel in Germany. In his work, he explores the relationship between scientific and artistic knowledge productions and their specific qualities in comprehending animals and the role of this for environmental issues. André received his PhD in Cultural Studies from the University of Canterbury, New Zealand after graduating with an MA in Environmental Sciences from the University of Lüneburg, Germany. He has published his work in journals such as Food Ethics, Antennae and Tierstudien. With Mieke Roscher he edited the volume Animal Biography: Re-framing Animal Lives (Palgrave) and is currently editing a Handbook for Historical Animal Studies (DeGruyter). His current projects explore natural beauty as a non-instrumental category of studying nature in nineteenth and twentieth century philosophic, aesthetic and scientific discourses and include the development of an exhibition on the aesthetics of octopus as conscious nonhuman others. Mieke Roscher is Professor of Social and Cultural History with a particular focus on human-animal studies at the University of Kassel, Germany. After reading Political Sciences, English Studies and Educational Sciences at the universities of Bremen and Middlesex and the London School of Economics (LSE), she earned her doctoral degree with a comparative study of the history and politics of the British animal rights movement. From this research she published Ein Königreich für Tiere, Die Geschichte der britischen Tierrechtsbewegung (2009). She is a founder member of the Forum Animals & History, the association of German speaking historians involved with Human-Animal Studies. and holds the first professorship in Germany dedicated to the historical study of human-animal relations. Her research interests focus on colonial history (especially British India), gender history, animal history and historiography and the history of the Third Reich. Her publications include Animal Biographies. Reframing Animal Lives (Palgrave Macmillan 2018), New Political History and the Writing of Animal Lives (in: Hilda Kean / Philipp Howell (eds. ), The Routledge Handbook of Animal-Human History, Routledge 2018), Curating the Body Politic: The spatiality of the Zoo and the symbolic construction of German nationhood (Berlin 1933‒1961) (in: Jacob Bull / Tora Holmberg / Cecilia Åsberg (eds. ), Animals and Place: Lively Cartographies of Human-Animal Relations, Ashgate 2017), and Veterinary medicine and animal welfare discourses in the Third Reich (in: Food Ethics 2 2017, DOI: 10.1007/s41055-017-0022-4). Margo DeMello (PhD, Cultural Anthropology, UC Davis) is an Adjunct Professor at Canisius College in the Anthrozoology Masters Program, and serves as the Program Director for Human-Animal Studies at the Animals and Society Institute. 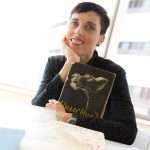 She has published over a dozen books, most within the field of human-animal studies, and dozens of articles and book chapters. Her books include Bodies of Inscription: A Cultural History of the Modern Tattoo Community (2000), Stories Rabbits Tell: A Natural and Cultural History of a Misunderstood Creature (2003), Low-Carb Vegetarian (2004), Why Animals Matter: The Case for Animal Protection (2007), The Encyclopedia of Body Adornment (2007), Feet and Footwear (2009), Teaching the Animal: Human Animal Studies Across the Disciplines (2010), Faces Around the World (2012), Animals and Society: An Introduction to Human-Animal Studies (2012), Speaking for Animals: Animal Autobiographical Writing (2012), Inked: Tattoos and Body Art around the World (2014), Body Studies: An Introduction (2014), and Mourning Animals: Rituals and Practices Surrounding Animal Death (2016). 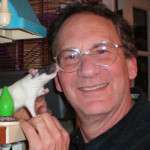 Kenneth Shapiro is cofounder and President of the board of the Animals & Society Institute. He is founding editor of Society & Animals: Journal of Human-Animal Studies, coeditor and cofounder of Journal for Applied Animal Welfare Science and the editor of the Human-Animal Studies book series. His most recent book is The Assessment and Treatment of Children who Abuse Animals: The AniCare® Approach. 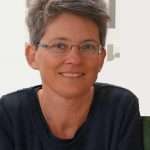 Mechthild Bereswill is Professor on Sociology at the Faculty of Human Sciences, University of Kassel. Her research fields include feminist methodologies, gender studies, masculinity studies, sociology of social problems, and qualitative methodologies. She is currently preparing a research project on assistant and therapy dogs. 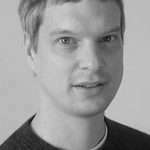 Tobias Linné holds a Ph.D. in sociology and is currently employed as Associate professor at the Department of Communication and Media, Lund University. His research interests are in the fields of critical animal studies and critical media studies. Within these fields he has been exploring issues relating to veganism and animals as food, and how animals are made accessible for human consumption. Since 2012 Tobias has been concerned in particular with the dairy industry, and how animals figure as discursive beings in the dairy industry’s communication in different context (social media, promotional events etc.). More recently he has also come to focus on food activism in social media settings, in particular in relation to animal rights and dairy and nondairy-alternatives. 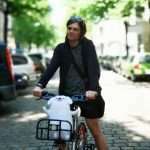 Tobias is the co-founder of the Lund University Critical Animal Studies Network (LUCASN). 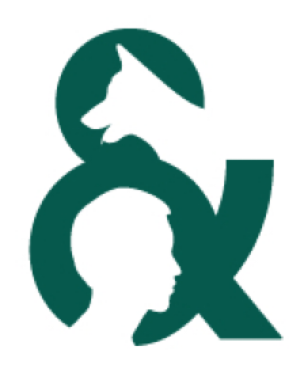 The aim of the network is to act as a platform and an interdisciplinary hub at Lund University for scholars and students interested in Critical Animal Studies. LUCASN work with education, networking and by promoting collaborative research projects. Robert McKay teaches literature, film and critical theory at the University of Sheffield, where he is co-director of the Sheffield Animal Studies Research Centre. His research focuses on the on the politics of species in modern and contemporary literature and film. Most recently, he has published an essay about eating, philosophy and being other than human, called A Vegan Form of Life, to the book Thinking Veganism in Literature and Culture (Palgrave, 2018), and an essay on the pro-animal aesthetics of the writer Brigid Brophy in Contemporary Women’s Writing. 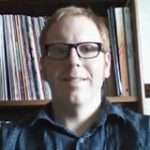 He is the co-author (with the Animal Studies Group) of Killing Animals (Illinois UP, 2006) and co-editor of Against Value in the Arts and Education (Rowman and Littlefield in 2016) and Werewolves, Wolves and the Gothic (Wales UP, 2017). He is series co-editor for Palgrave Studies in Animals and Literature and Associate Editor (Literature) for Society & Animals. He is currently working on two projects: a study on the place of animal ethics in American culture, politics and law 1930-1960 and a monograph titled Animal Form: The Politics of Species in Contemporary Literature. Professor Claire Parkinson is Professor of Film, Television and Digital Media and Co-Director of Centre for Human Animal Studies (CfHAS) at Edge Hill University, UK. Her research interests include media, film and Critical Animal Studies; sustainable consumption; ecomedia; American cinema; activism; and, film and politics. Her publications (as Claire Molloy) include the books Popular Media and Animals (2011) and Memento (2010) and the edited collections Routledge Companion to Cinema and Politics (2016), American Independent Cinema: Indie, Indiewood and Beyond (2012) and Beyond Human: From Animality to Transhumanism (2012). David Redmalm is an associate professor at Mälardalen University, Sweden. 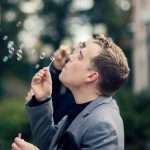 His research focuses on the construction of humanity and animality in everyday relationships between humans and other animals, and the implications of these relationships both for social theory and for nonhuman animals themselves. He has studied interspecies relationality in a variety of contexts—riding schools, pet cemeteries, and the White House, to name a few. Redmalm’s work has been published in journals such as The Sociological Review and Organization, and in a number of anthologies, most recently in Equine Cultures in Transition (eds Bornemark, Andersson & Ekström von Essen) and Death Matters (eds Holmberg, Jonsson & Palm). Reingard Spannring studied sociology at the University of Vienna and the University of Sussex. Since 2006 she works at the Institute for Educational Science at the University of Innsbruck as researcher and lecturer. Her main areas of research are Critical Animal Studies, environmental education research, philosophy of education and theories of learning. Jessica Ullrich studied art history, fine arts and German literature in Frankfurt as well as Arts Administration in Berlin. She holds a PhD in art history and has been assistant professor at the University of Arts in Berlin and at the University Nuremberg-Erlangen as well as visiting professor at the Academy of Fine Arts Muenster and lecturer at the University Frankfurt. She has been head of the education department at Kunstpalais in Erlangen. She curated art exhibitions and video screenings in Berlin, Utrecht, and Sao Paulo and is a member of Synapse. The International Curator’s Network. Jessica published exhibition catalogues, collections of essays, and articles mainly on modern and contemporary art and on human-animal relations in art. She is editor of Tierstudien, the German journal on animal studies and on the editorial board of Antennae. The Journal of Nature in Visual Culture and Zeitschrift für Kritische Tierstudien. 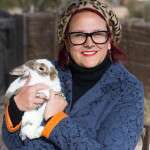 Jessica is a representative of Minding Animals Germany and on the board of The Culture and Animal Foundation. She is founding member and member of several animal-studies research groups in the German speaking countries, for example Animals in History, FITT (Forschungsinitiative Tiertheorien/Research Initiative for Animal Theories), IRI (Individual Rights Initiative), METIBE (Büro für Mensch Tier-Beziehungen/Office for Human-Animal Relations), Bündnis Mensch-Tier (Alliance for Humans and Animals), and Animality and Aesthetics as well as member of EACAS (European Association for Critical Animal Studies). Currently she teaches art and aesthetics at the Academy of Fine Arts Muenster. 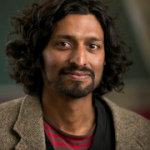 Dinesh Wadiwel is a senior lecturer in human rights and socio-legal studies at The University of Sydney, with a background in social and political theory. He is author of the monograph The War against Animals (Brill 2015) and co-editor with Matthew Chrulew of the collection Foucault and Animals (Brill 2016). Dinesh is co-convener of the Human Animal Research Network (HARN) at The University of Sydney. Kerstin Weich has been working in the Unit Ethics and Human-Animal Studies at the Messerli Research Institute as PhD-candidate and a scientific coordinator in the research project “Vethics for Vets – Ethics for veterinary officers” since 2012. She studied Modern German Literature, Philosophy and Communication Science at the TU Dresden and at Freie Universität Berlin. Additionally, she graduated in Veterinary Medicine from Freie Universität Berlin. From 2009 she has been an Ethicist in the Animal Experiments Committee of Berlin. She worked as a freelance veterinarian (small animals) and was engaged as a freelancer in research and teaching. In 2012, she won the Young Scholar Award of the World Association for the History of Veterinary Medicine for an essay on the concept of health in veterinary medicine. There is no tuition fee. Accommodation, travel and activities during the school are fully funded for all participants. The language of conversation at ESSIR will be English and residency in Kassel throughout the school is compulsory. Childcare will be provided when the school is in session. Applicants must (1) be a doctoral student or early career scholar no more than two years past the Ph.D., OR be an MA/JD student in the advanced stages of their degree, OR a professional degree student seeking a degree in law, veterinary medicine, public policy, and so on; (2) have a commitment to advancing research in Human-Animal Studies; and (3), submit a follow-up report six months after the program’s completion. Applications are encouraged from the social sciences, humanities, and natural sciences, as long as the project is taking a Human-Animal Studies approach. The summer school is open to all nationalities. If you are interested and unsure if you are eligible, please contact the directors. To apply, please submit electronically: (1) a cover letter outlining your motivation for participating in the summer school (1‒2 pages), (2) a description of your project (1 page), (3) a CV (no more than 3 pages) and (4) a writing sample (no more than 15 pages) to Kassel-Institute@animalsandsociety.org. Participants will be chosen primarily with regard to the HAS focus and relevance for the central theme of their projects and their relevance for further developing “Interspecies Relationality” as a method. All funding for this event has been generously provided by the Volkswagen Foundation.